Is your company ready to make a real difference to a cause that you, your customers and staff care passionately about? We’d like to offer you an amazing opportunity to become partners with Bridge2Aid Australia. Together we can create a world free from dental pain. Bridge2Aid Corporate Partners show their customers that they are about much more than profit. They demonstrate their responsibility by giving back to some of the poorest in the world. By choosing a cause that resonates with staff and customers we can help our partners build their reputation and generate positive publicity. It’s also a great feeling to be involved! Our Corporate Partners regularly talk about the positive impact has it has on them and their team. 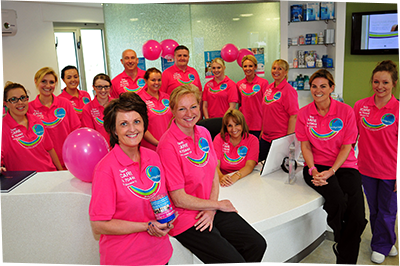 Every June we hold our its national fundraising day – Smile in Pink. Your practice or company can take place in next year’s Smile In Pink and your staff can join in a fun day raising funds for a great cause. 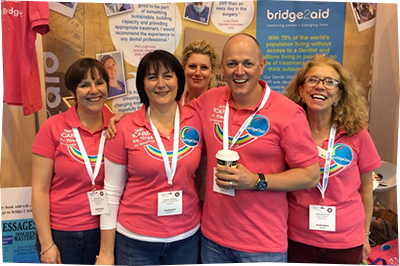 Contact Paul – paul.tasman@bridge2aid.com.au to let us know if you’d be interested in joining in with the next Smile in Pink.